If S Korea can, why can’t Taiwan? Based on a survey by Interbrand Corp, Businessweek produced a list of the world’s top 100 brands in its Aug. 1 issue (pp 90-94). US firms dominate the top 10 and make up slightly more than half of those listed. 他們在節目中列了三首曲子，第一首是俄國作曲家Sergei Prokofiev (1891-1953) 1941年所寫的Quartet No. 2 in F major, OP. 92。此曲當年甚受歡迎，被評為”magnificent music”. The following is this writer’s write-up of Professor Madsen’s informative and scholarly lecture. Taiwan’s urban middle classes have been experiencing an amazing renaissance of religions, mostly Buddhism and Taoism. This religious movement took place as Taiwan began its transformation from authoritarian rule under the KMT toward democracy. 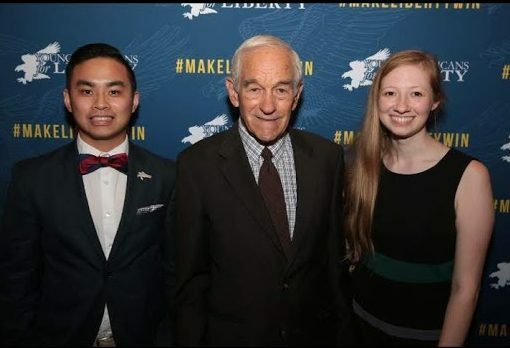 The growth of religions has been so spectacular that elected officials of various political persuasions have found it politically necessary to pay personal respect to Buddhist masters and have pictures taken with them. In doing so, the politicians show to the public that they embrace moral and religious values. More importantly, they hope to win the votes of Buddhists and/or Taoists. Religious orders in Taiwan are found to have attracted supporters from all ethnic groups: Taiwanese Hoklos, Taiwanese Hakkas, Mainlanders and even indigenous people. Religions consequently have a positive effect of bridging social and ethnic divisions and reconciling cultural differences in a politically divided society. Madsen focused his talk on the rise and spread of two major Buddhist orders: Fo Guang Shan Buddhist Order and Tzu Chi Charitable Foundation. First, Fo Guang Shan Buddhist Order was founded by Master Hsing Yun. Hsing Yun was born in China, and became a novice in his teens. In 1949 he arrived in Taiwan. 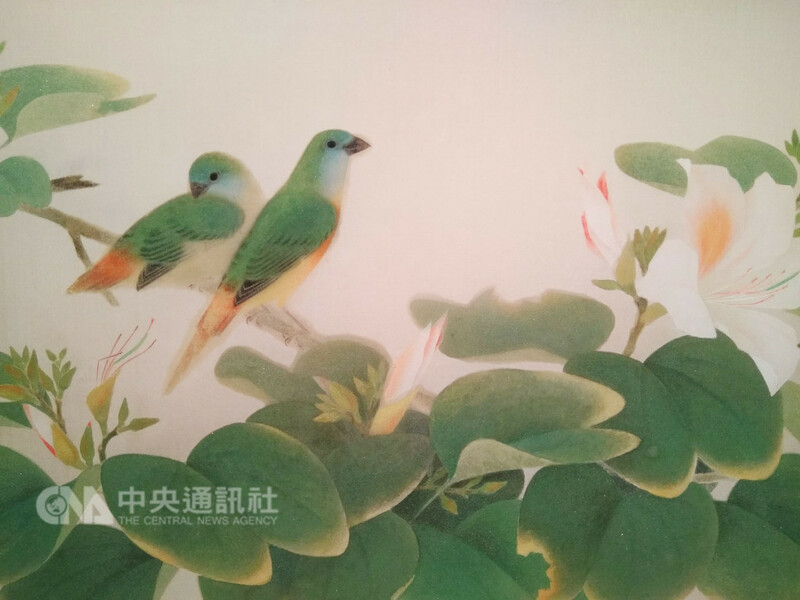 In late 1950’s, he established a Buddhist cultural center that became today’s Foguang Cultural Enterprise Co., Ltd which published many Buddhist training tools such as audio and visual aids. In 1967, Hsing Yun founded Fo Guang Shan Buddhist Order to actualize his vision of Humanistic Buddhism via education, cultural activities, charity, and religious practices that “foster talent, propagate the Dharma, provide relief aid, and cultivate morality in people.” Hsing Yun has mentored more than one thousand monastic disciples. And, he heads the enormous Buddhist complex, which houses over 1400 monks and nuns, at Mt. Fo Guang in Kaohsiung. In addition, the Order has spread beyond Taiwan to build many Buddhist temples for its believers overseas. Compared with Fo Guang Shan, Tzu Chi Foundation is a truly home grown Taiwanese organization. Its founder is Master Cheng Yen, a Taiwan-born nun. It was in 1966 when the relatively young nun founded what would eventually become a major non-profit organization. She led about thirty housewives to help the poor and the sick in the impoverished eastern coast of Taiwan. Cheng Yen and her small group of volunteers expected nothing in return, except hoping others would embrace the same unconditional love to be extended to those in need. 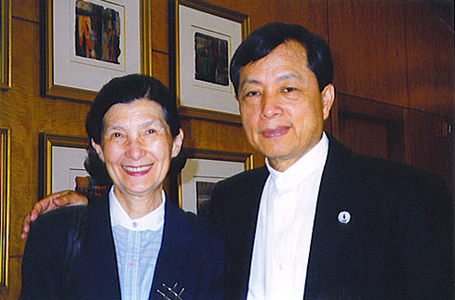 In 1985, Tzu chi volunteers living abroad began setting up chapters. Emergency aid to typhoon-stricken Bangladesh in 1991 marked the beginning of the Foundation’s international relief efforts. Today, Tzu Chi is an international organization with over 5 million supporters, about two thirds of them female, around the globe. The Foundation has dedicated itself in “the field of charity, medicine, education and environmental protection, as well as the promotion of humanistic values and community volunteerism.” It has provided compassion relief to victims of war, flood, and drought in such countries as China, Cambodia, North Korea, Rwanda, Ethiopia, Afghanistan and Serbia. Its bone marrow donor registry, for example, is one of the largest in the world. The renaissance of religions started around the time when Taiwan began its democratization in the late 1980’s. During the long period of KMT authoritarian rule up to 1986, the government had controlled and regulated the growth of religions in Taiwan. However, due to its need for the support of the Christian West, particularly the U.S., the KMT government found it necessary to tolerate a slow development of Christianity in Taiwan. Christian universities, such as Tunghai and Fu-Jen, as well as churches developed. Non-Christian religions, however, were discriminated against. Consequently, Tzu Chi, for example, had to operate cautiously as a small charitable Buddhist group under the watchful eyes of government authorities. It was not until the late 1980’s that it began to grow rapidly into an influential charitable organization. To its supporters, it provides an important opportunity for doing good deeds. Housewives volunteer their time and efforts and many also have inspired their husbands to join in. Tzu Chi has thus been able to raise its believers to a higher level in terms of moral values and spirituality. On the other hand, the Buddhist establishment also has adapted itself to modernity. For example, while one of its moral precepts is “no taking of life,” it has accepted its medical school researchers’ need to experiment with animals in the labs. In addition, showing their respect for the deceased through appropriate Buddhist rituals, medical school teachers and students avoid feeling of guilt for dissecting a cadaver. Buddhism has thus adapted itself to the reality and needs of a modern, industrial society. Finally, Tzu Chi volunteers are so dedicated to their mission and so well-organized that they have always been among the first to reach areas hit by disasters. This is demonstrated, for example, in the relief and reconstruction of earthquake-stricken region after a major quake hit central Taiwan on September 21, 1999. It is just as significant that volunteers of Tzu Chi, a private and religious organization, helped without hesitation to rebuild public schools destroyed or damaged by earthquake. Maybe this is a worthwhile lesson for people elsewhere. Tzu Chi foundation’s international charitable and relief work has been a great asset for Taiwan. While Taiwan suffers in diplomatic isolation, Tzu Chi has operated globally and thus has demonstrated to the world that there is much good in and coming out of Taiwan. They have helped providing positive international visibility to Taiwan. Therefore, in more ways than one, Tzu Chi is indeed being “hope and light” to the world as well as Taiwan. Madsen also compared and contrasted Taiwan and China in terms of state-and- religion relations. In China, even long after the end of the Mao era during which religions were proscribed, the Chinese government today is still widely reported to have violated human rights presumably so as to avoid social conflicts. Whatever so-called patriotic religious establishments there are, they are controlled and regulated by the state. Beijing’s persecution of Falungong practitioners, for example, reflects the state’s fear of organized religious groups that might develop beyond the reach of state power. As a result of China’s opening for outside contacts chiefly through trade, however, underground Christian churches have grown and Christian converts have increased greatly in number. When even the Chinese Catholic bishops are state appointed, there is clearly no meaningful religious freedom, let alone separation of church and state, in China. In Taiwan, on the other hand, as explained earlier, the people of Taiwan have enjoyed full religious freedom. And, religions have so developed as to help provide significant stability to a politically divided society that is experiencing major democratic reforms. All in all, the influence and significance of religions are such that politicians, including Christian ones, have to show some degree of outward deference to Buddhist and Taoist Establishments and practices. In terms of religion and state relations, Taiwan can certainly serve as a model for other countries in Asia. While Madsen thinks it is possible that China could eventually develop in the way Taiwan has, he does not think it is likely in the near future. 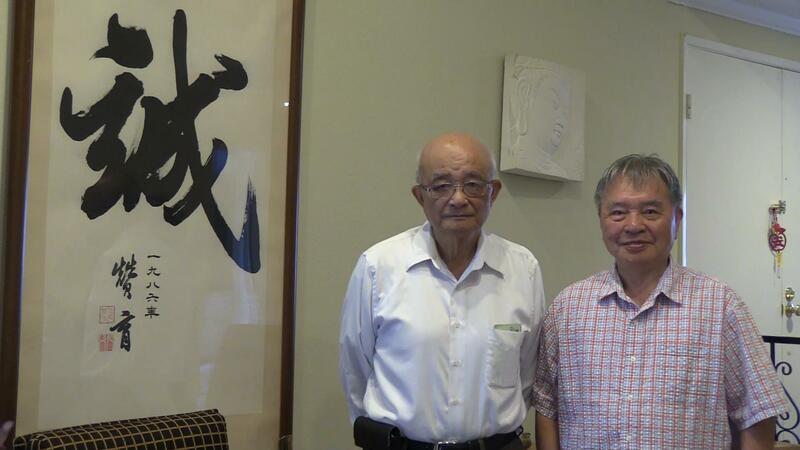 Professor Togo briefly explained how he had become interested in Taiwan after his retirement. A few years ago, at Holland’s Leiden University, as a visiting professor, Togo met a Taiwanese scholar/researcher. Both of them were interested in the phenomenon of rising nationalism in Asia, particularly in Japan, China, Korea and Taiwan. Subsequently, through this Taiwanese scholar’s recommendation, he was invited to teach for a semester at Tamkang University in the Fall of 2006. Since then he has become fond of Taiwan and its people. In 1952, Japan signed a Peace Treaty with Republic of China (ROC-Taiwan) and thus began official diplomatic relations between the two countries. The U.S.-Japan Mutual Defense Treaty of the same year committed the U.S. and Japan to the “mutual defense” of Japan and other non-Communist countries of “Far East” which was defined as north of the Philippines including territories under the control of South Korea and Taiwan. During the Cold War, while she recognized ROC-Taiwan, Japan, observing strictly separation of politics and economics, had only trade relations with the People’s Republic of China (PRC). In July 1971, the Japanese were shocked by the surprised announcement of Nixon’s plan to visit China and to support PRC’s joining the United Nations. Fully aware of the strategic importance of Taiwan to her national interests, Japan endeavored to keep ROC (Taiwan) in the U.N. In particular, former Japanese Prime Minister Nobusuke Kishi, who knew Chiang Kai-shek well personally, made a special visit to Taiwan to see if he could persuade Chiang to keep ROC under the name of Taiwan in the UN. Unfortunately, he had no success. Following the U.S. lead of issuing the Shanghai Communique in February 1972, Japan on September 29, 1972, issued a Joint Communique with China stating that the Government of Japan “understands and respects” the PRC position of claiming Taiwan as a part of China. Japan, however, also explicitly expressed in the Communique its advocacy of “peaceful resolution” of the Taiwan issue. Professor Togo referred to these principles as the two pillars of Japan’s foreign policy toward the issue. As a result of the rapprochement, Japan switched its diplomatic recognition from ROC (Taiwan) to PRC. However, cultural and economic relations with Taiwan continued. Throughout the 1970’s the Japanese were in general grateful toward Mao Zedong as well as Chiang Kai-shek for their not having demanded Japan to pay war reparation. Japan also welcomed China’s economic reform under Deng Xiaoping’s leadership and consequently pursued an “engagement policy” toward China. According to Togo, Japan was quite understanding of China even after China had brutally crushed the Tienanmen pro-democracy movement on June 4th, 1989. In 1992, as a symbol of Japan’s political reconciliation with China, Japanese Emperor Akihito visited China. By the mid-1990’s, changing circumstances have contributed to Japan’s becoming more sympathetic toward Taiwan while antipathetic toward China. 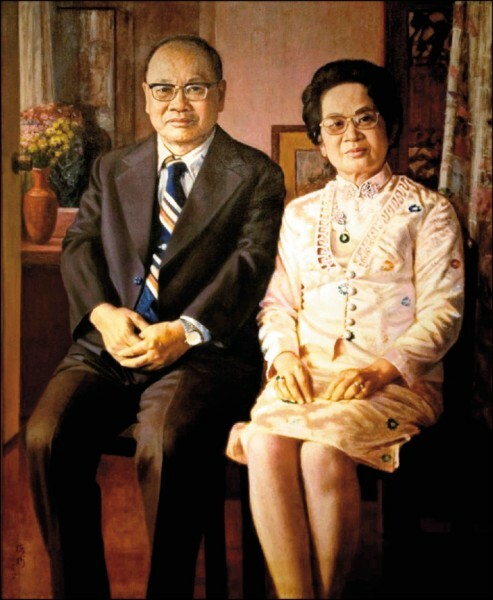 The Japanese have shown their good will toward Taiwan as a result of Taiwan’s rapid democratization, in which native-born Taiwanese Lee Teng-hui became the president of Taiwan after the death of Chiang Ching-Kuo in 1988, and DPP’s Chen Shui-Bian subsequently won the presidential election in 2000 and again in 2004 and thus ended the KMT dictatorial rule in Taiwan. The Japanese also have much appreciated Lee Teng-Hui’s positive evaluation of Japanese colonial rule in Taiwan (1895-1945). More importantly, mindful of the importance of Taiwan Strait’s remaining as an international water to Japan’s economic security, Japanese decision-makers have naturally favored stability and security in the region surrounding Taiwan. At a meeting of top defense and foreign affairs officials in 2005, Japan and the U.S. agreed to adopt a common strategic objective of insisting on the need for employing “peaceful resolution through dialogues” to resolve the Taiwan issue. In the meantime, Japanese antipathy toward PRC was becoming more evident as a result of China’s rising economic power as well as military might, China’s launching missiles near the Taiwan waters in 1995-96, and their repeated nuclear tests. The Japanese also felt disrespected by Jiang Zemin’s rudeness shown in his public speeches made while visiting Japan in 1998. In addition, the Japanese were very much turned off by the Chinese ultra-nationalism as unmistakably demonstrated in Asian soccer games and anti-Japan protests in China in 2004-05. On the other hand, Prime Minister Junichiro Koizumi’s repeated visit to Yasukuni Shrine did not help Japan-China relations either. Shinzo Abe succeeded Koizumi as Japan’s Prime Minister in September 2006. Among the Japanese leaders, Abe has been known to be the most sympathetic toward Taiwan. His understanding of East Asian history, Japan’s security concern and Taiwanese identity issue serves as the basis for his sympathy. Therefore, people generally have expected that he would take some measures to strengthen Taiwan’s position. However, intending to improve relations with China, he has so far being more conciliatory toward China than his predecessor Koizumi. He made an official visit to Beijing in October, 2006 and then received Chinese Premier Wen Jiabao’s visit to Japan in April 2007. In the Communique jointly issued by Abe and Wen on April 11, 2007, Japan pledged she would “firmly maintain the1972 Joint Communique.” In terms of the Yasukuni Shrine issue, Abe’s expressed opinion is that he would have “no comment and no denial.” In addition, while acknowledging that political differences exist between Japan and China, Abe has emphasized the two countries’ common economic interests. Relation with China has consequently improved. With other major countries in the Asia-Pacific region, on account of shared democratic values, Abe has promoted closer ties particularly with the U.S., Australia and India. Finally, Togo focused on the issue of “Status Quo” across the Taiwan Strait. Nearly all countries involved have indicated that they are in favor of maintaining “Status Quo.” However, they all have interpreted “Status Quo” in a way that best suits their own purpose. In Taiwan, the DPP and its allies assert that Taiwan is already a sovereign state even though the KMT is opposed to Taiwan independence as well as Beijing’s so-called “one country two systems.” China, on the other hand, has insisted that Taiwan is a part of China and consequently has opposed de jure independence for Taiwan. For Japan, “status quo” means abiding by the 1972 Joint Communique. As for the U.S., it is essentially the so-called “strategic ambiguity” as reflected in the three communiques that they jointly issued with China since February 1972 as well as the Taiwan Relations Act of 1979. In reality, of course, there have been significant changes over the years. Since the 1980’s while Taiwan has become democratized, China has been emerging to become a major economic and military power. In terms of real politics, Taiwan has been in the most difficult situation. According to Professor, Taiwan is sort of like a caged bird that has to rely on others for its sustenance. Beijing has been the one dictating what is allowed Taiwan. Bilateral economic and social contacts with Taiwan are encouraged by Beijing. Consequently, indirect trade and cultural exchanges across the Taiwan Strait have increased. China, however, wants direct communication, trade and transport with Taiwan so as to make Taiwan dependent on China. Since 2005, Beijing has also extended red carpet treatment to visiting KMT leaders who are in favor of Taiwan’s eventual unification with China. On the other hand, the Chinese government has continued refusing to deal even indirectly with the DPP-led government of Taiwan. Furthermore, it is doing all it can to isolate Taiwan from the international community of sovereign states. Following his lecture, Togo took questions from an audience of nearly 60 people. Reflecting his professional diplomatic past, Togo was very deliberate in providing information and answers as accurate as he could. For example, he was asked would Japan assist the U.S. military when the Americans should come to the aid of Taiwan if and when China resorts to the use of force to annex Taiwan? Togo replied that Japan could not directly involve herself militarily due to Article 9 of the Japanese Constitution. However, he made it unmistakably clear that Japan would certainly defend herself if Japan should be attacked. One cannot pick a more perfect date and time for a very special event, sponsored by the Taiwanese American Foundation of San Diego (TAFSD), for Taiwanese-American young professionals in San Diego. The preparation began more than two weeks prior to the event. I met up with Dr. Kun-Mu Chen, a board member of the TAFSD, and his lovely wife, June to cruise down the coastline in two cars and conduct site-by-site visits for three potential locations. We went to Del Mar Seagrove Park, La Jolla Cove, and finally arrived and decided on the Tecolote Shores in North Mission Bay Park for its parking convenience. On Saturday, June 9th, an atypical sunny gorgeous San Diego afternoon, Pei-Huei Chiou (board member of TAFSD) and Ted Chiou first arrived at the picnic site to discover that the gazebo we’ve had in mind is occupied with no sign of vacancy. Thanks to other senior board members of the TAFSD, they brought tables and chairs to set up under the shade of a sizeable tree at adjacent site. The party kicks off promptly at 3 pm with Dr. Jack Hsiao (board member and organizers), myself (organizer), Ted Chiou (organizer), and Dr. Kun-Mu Chen (organizer), as well as Dr. Ching-Chih Chen (President of TAFSD) greeting the participants as they arrived at the park. In less than one hour’s time, we have had more than thirty (30) young professionals gathered in a circle to receive TAFSD president and board members’ welcome remarks. TAFSD President Ching-Chih Chen and Dr. Kun-Mu Chen extended hearty welcome to this new group and thanked those who put in time and energy to make this event possible. What really moved me was the tone and sincerity of their support. They revealed the budget and the willingness of the organization to fund and help organize this new group without reservation. Not having my parents in the U.S. and having participated in many non-profit organizations before, I was very impressed with TAFSD’s openness. Another encouraging sign is the quality of participants. Scrolling down the sign-in sheets I have previously prepared, I see that nearly 100% of the attendees are truly young professionals: medical doctors; practicing attorneys, software programmers, teachers, engineers. Many of them hold enviable positions with Fortune 500’s or own their own businesses. The party atmosphere for this very special three-generation Taiwanese-American gathering is one of warmth and pleasantry. The elder generation contrast with the toddlers who are the third generation Taiwanese Americans. The majority of the crowd is the dynamic young professionals, who seemed to be enjoying each other’s company and the delicious foods. The conversations are vibrant and full of energy and everyone seems to be having a great time. All parties must end. If it weren’t for the cool breeze that swept the park around 6pm, I suspect we would’ve and could have stayed till well into sunset. I am pleased to report, at the end of the day, there were nearly 40 young professionals signed up to form a new group, with many promising to bring in others who were unable to attend. As one of the organizers, I am so proud and thrilled to have found people who share the same heritage with me, running the same Taiwanese blood as I, here in San Diego. We have had a great jump start and I look forward to corroborate with TAFSD in building a powerful Taiwanese-American professionals group for many generations to come. 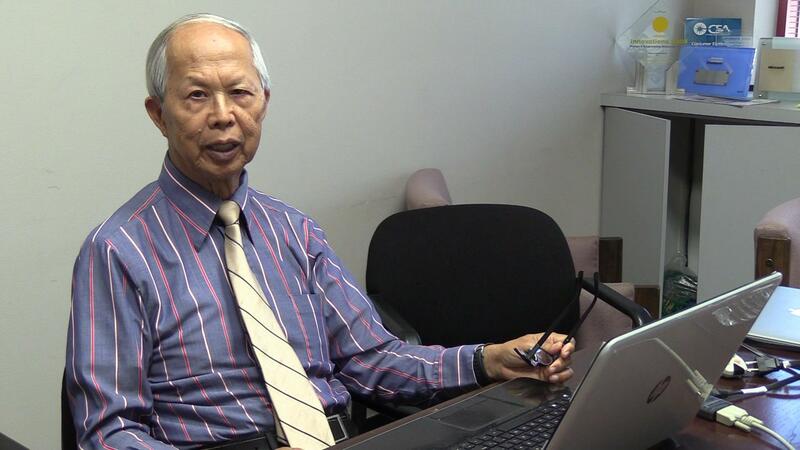 Ming T. Tsuang, M.D., Ph.D., D.Sc. – one of the world’s top researchers in the field of human genetics, behavior and neuropsychiatric diseases – has been named Endowed Chair in Behavioral Genomics by the Department of Psychiatry and the University of California, San Diego (UCSD) School of Medicine. Tsuang is a Distinguished University Professor of Psychiatry, Director of the UCSD Center of Behavioral Genomics and Director of the Harvard Institute of Psychiatric Epidemiology and Genetics. He has been on the faculty of UCSD since 2003. Under Tsuang’s direction, the Center for Behavioral Genomics has developed research projects that span the full spectrum of genetics, from basic research to clinical research studies with patients and their families. Tsuang received his medical degree from National Taiwan University, and his Ph.D. and Doctor of Science degrees in Psychiatric Epidemiology and Genetics from the University of London. He held academic posts at the University of Iowa, Brown University and was Stanley Cobb Professor of Psychiatry and Chair of the Harvard Department of Psychiatry at Massachusetts Mental Health Center, Harvard Medical School, prior to coming to UCSD. He is recognized worldwide for his research in schizophrenia, bipolar disease and substance abuse. One of his major areas of interest has been the interactions between genetic and environmental risk factors. He is currently completing the largest-ever genetic linkage studies of schizophrenia, involving nearly 800 families, and heroin addiction, with more than 1,000 families. 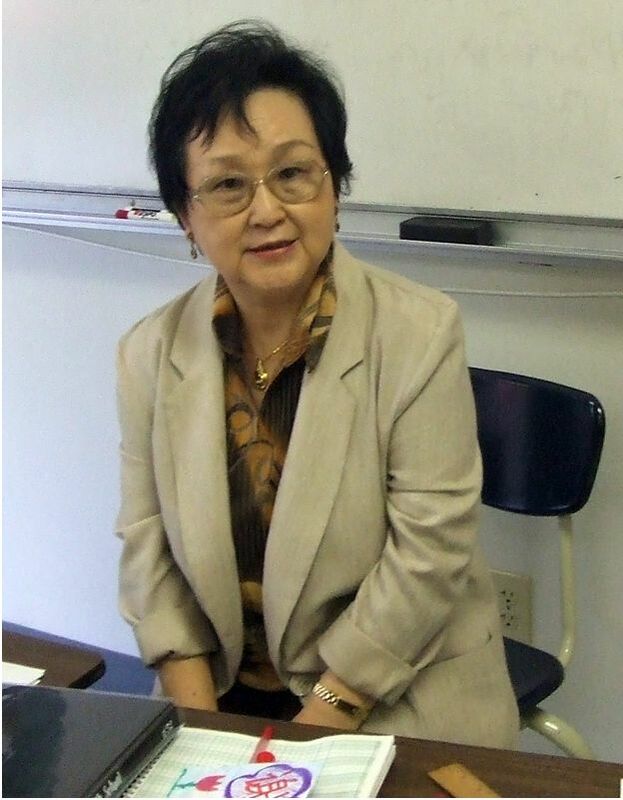 Tsuang is the recipient of many awards, including the Stanley Dean Award for Research in Schizophrenia, the National Institute of Mental Health Merit Award, the Noyes Award for Research in Schizophrenia, the National Alliance for Research on Schizophrenia and Depression Distinguished Investigator Award, the Lifetime Achievement Award from the International Society of Psychiatric Genetics, the Taiwanese-American Award for Achievement in Science and Engineering, and the Gold Medal Award from the Society of Biological Psychiatry for his pioneering contributions in the field of biological psychiatry. He is a member of the Institute of Medicine, National Academy of Sciences. He has served on the National Advisory Mental Health Council, Department of Health and Human Services. He has been elected Fellow of the American Psychiatric Association, the American College of Psychiatrists, and British Royal Society of Psychiatrists; Fellow and President of the American Psychopathological Association; Council Member of the Taiwan National Health Research Institute; and Academician, Academia Sinica of Taiwan, the highest academic institution in Taiwan. Tsuang has authored or co-authored nearly 600 publications. In addition to serving on many editorial boards of scientific journals, he is currently the senior editor for Neuropsychiatric Genetics, a section of the American Journal of Medical Genetics and President of the International Society of Psychiatric Genetics. · Establishment of Taiwan Centers and many more …..
葉錦如女士 defines Community Outreach as the activities that bring services and information about the availability of services to people in their home or usual environments. 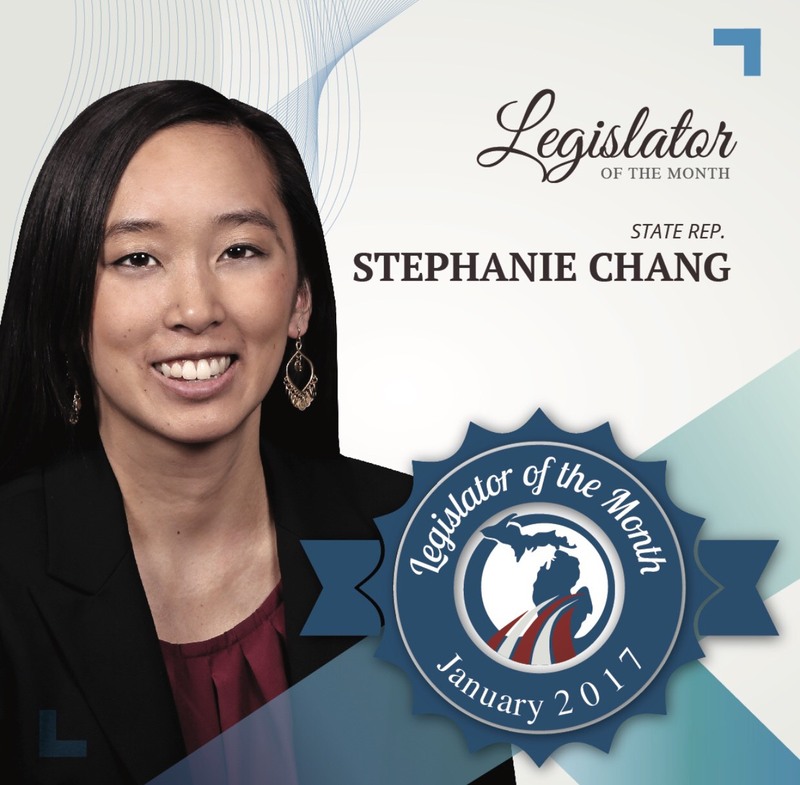 She believes that Community Outreach is an effective way to educate others about us. It helps us to reach many diverse communities and enables us to become a recognized part of the community. In Houston, various Community Outreach programs were carried out through Taiwanese Heritage Society of Houston (THSH), a non-profit organization established in 1989. It then acquired the Taiwanese Community Center (TCC) in 1991. In 2000, a new wing, with three rooms, was added to TCC with HUD’s (US Department of Housing and Urban Development) Construction Grant of around $300,000. THSH’s Mission is to increase public understanding of Taiwanese heritage and culture, and to provide community services to the Houston Metropolitan Area. 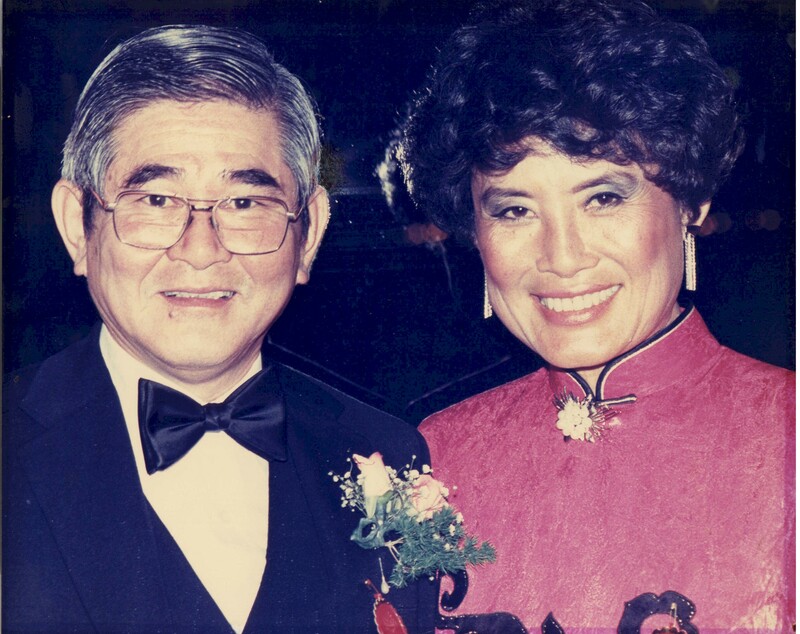 In the past, THSH has been providing services to Taiwanese Americans as well as the larger society. For example, THSH has been participating in the food drive sponsored by the Food Bank with $1,000 donation and loads of clothing since 15 years ago. THSH also raised fund to assist the victims of Hurricanes in Houston. However, these service records have not been well documented. “Learning about Taiwan” Field trips to Taiwan Center, where visitors learn about traditional children’s play that is unique to Taiwanese youth, such as kick shutters (踢鍵子) and activities that are common among other cultures, such as Tops (陀螺), weaving (織布) and puppet shows (布袋戲). · Services to Seniors and people with special needs, such as flu shots and exercise programs, and craft-making activities. · Refugee Students Services, such as, co-sponsor “Back to School Celebration” event and School Uniform Donation to the refugee students at the Taiwanese community center. · Community Scholarship Program – to neighboring High School College bound seniors who serve the community and achieve academically. · Active Participation in Asian and main stream activities: for example: raising fund for the Asian house campaign. 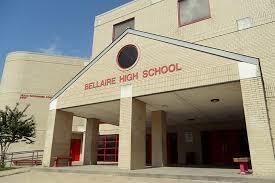 · Outreach to neighborhood schools that have smaller Asian student body. · Outreach to the daycare centers for students and the seniors. · Partner with other organizations that provide indigent care. · Conduct pilot programs – Brought YMCA teachers to Taiwan Center and made presentations to local elementary school teachers, etc. · Made a presentation to the United Way. · Periodical assessment of our organization and its program activities, the availability of the human as well as financial resources. · Create programs embracing commonly respect values, such as Multi-culturalism and humanity. · Initiate program activities and invite other organizations to participate at the Taiwanese Community Center. · Support other organizations and build partnerships. · Expand our network by participating in non-Taiwanese groups’ activities. · 2 minutes introduction of the organization. · A TA national initiative (talent pool database) focus on increasing interactions with other culture groups. · Everyone is an ambassador of Taiwan and Everyday is a Taiwanese Heritage Week. Though THSH has completed the grant contract obligation in 2005, the organization continued to carry out its outreach activities to serve the larger society, and expand networking opportunities with other non profit organizations.